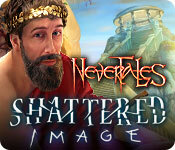 Nevertales: Shattered Image is rated 3.4 out of 5 by 15. Rated 5 out of 5 by Majestyx12 from Taleworld Adventure Based on the finished game I like this game enough to buy the CE. It came out 2014. It has places you have to write down things or use the journal. It has portals so the scenes and places change. Three fourths done and they give you a mechanical owl to retrive like three things. The hints and skip are quick enough. I liked the hops and some relaxed puzzles like matching pairs and jigsaws. I liked the different places you go to. Rated 5 out of 5 by _hoscal_ from Awesome Great game from a great series. I thoroughly enjoy Nevertales and recommend to everyone. The graphics, sound and storyline are great. While not as a great as the others in the series, it is still worth collecting and playing. Rated 5 out of 5 by rondakbandy from I loved it! I am glad it wasn't just like the first game, that would have bored me to tears. Pros: Difficulty is customizable. The jump map is excellent. The graphics are lovely and the plot surprised me, and that's hard to do. Cons: It seems like it was shorter than the first one but not by a lot. The map can only be found by going to the phone diary and yes, I'm that lazy. I hope they make more in this series. Rated 4 out of 5 by ninja226 from Alice through the looking Mirror This is an incredibly imaginative story and journey through book portals to rescue your daughter Alice, who disappeared through a mirror. Has a surprising twist at the end. This story has more task oriented objects than junk pile HOS. Good powers of observation are needed to succeed in the mini puzzles, which are mostly not too difficult. Graphics are average to very good. The storyline is one of the better I have encountered among BFG games. Give this game a try, I think you'll be pleasantly surprised. Rated 4 out of 5 by LisaS222 from Odd but fun..... Facts - * Developer - Mad Head Games * Release Date - August 2014 * # of HOGs - 10 * # of Puzzles - 12 * # Levels of Play - 3 + Create you own * Has link to strategy guide, map, notes and journal * My Completion Time - 4.5 hours Opinion - Overall, I enjoyed the game. The storyline was unpredictable with a mixture of fairytale and original characters. I especially liked Maria and the odd grumpy fairy godmother. I did however, lose the storyline with so much unpredicatability as the story seemed disjointed at times. Pros - Unique, fun HOGs. If you like different kinds of HOGs, then this game is for you. Also, I thought the sound was excellent. From the ambient sound to the game music, it really added to the overall game. Cons - I found the game, puzzle and HOGs all very easy. If your looking for challenging games, I would advise you to download the trial version first. Also, I found the graphics very 2 dimensional that could have brought a lot to the story but failed. Rated 4 out of 5 by LogieBaby from somewhat new found respect When the CE version was issued, I gave the game 3 stars and called the game itself shattered. I even ventured the SE version would not be enough of an enticement to consider a buy. After having completed the demo of this SE, I have upgraded my rating. Perhaps I was having a bad day when I originally reviewed this Nevertales. I know it does not measure up to the first game in the series, that's for sure. 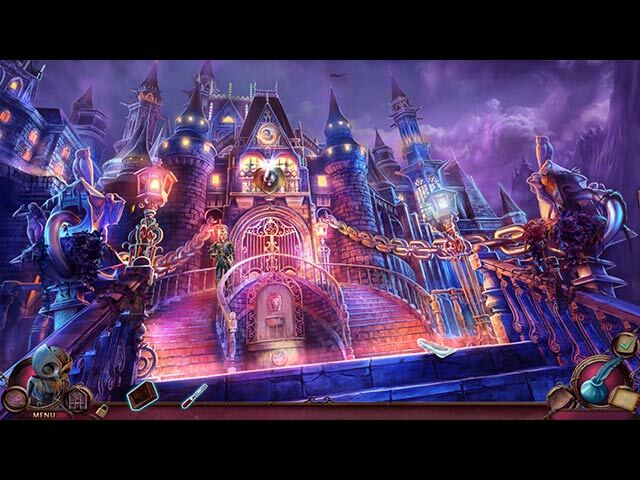 Shattered is an easy game to play, none of the tasks are difficult at all. Be it an HO segment or a puzzle, they are all very easily completed, at least in the demo. I still don't know if I will ever add the game to my repertoire. It's funny sometimes how a game at one time seemed either really good or really bad or mediocre and later on the same game either improves or goes south. For those who have not demoed the game, give it a try. At any rate, Maria the Shaman is one of the better characters to come along in quite a while. She is not easily forgettable.. Rated 3 out of 5 by RevKellie from A Nonsense Tale This was one of those games I kept playing because I thought it would get better, and by the time I realized it wouldn't, I'd gone too far to turn back. A nonsensical jumping of legends and fairytales so easy my beagle could play it (but not understand it). Pros - music is fine, each part of the story has its own segment so it is easy to start and stop. Voice overs aren't too bad. Cons - This story makes no sense whatsoever. Fairy tale characters, people from literature, weird stereotypes and the rudest fairy godmother ever (she just looks angry all the time - like you interrupted her cigarette break). Its nutty (and no when you finally hear the end, it doesn't make any more sense than before. Other cons - rooms change and add items, for example a shelf may not have a key, but then later it does. It's a pain because you have to keep going back. Puzzles are super easy and get very repetitive. The ending is protracted and misses several good chances to stop. If you like to take standard fairy tale characters and story tropes, but them in blender with some magic beans and glass slippers - you'll like this. If you can tell the difference between what a heart and a diamond look likes - find a harder game. Rated 3 out of 5 by pennmom36 from I Have A Shattered Image Of Nevertales I didn't hesitate to purchase the Collector's Edition of the Original Nevertales, however after playing the demo of Shattered Image in both the Collector's and this Standard Edition, I haven't been convinced enough to want to purchase this game. The graphics in the first Nevertales was phenomenal, this game however has what I call cartoonish graphics as if no effort was put into detail, and then someone decided to douse each scene with an extra dose of pink! With that being said, the cute little baby, Alice that was left on your doorstep in the last game (who rested quietly amongst the inventory items between the car keys and the wrench) has just turned 12! Alice has shown great potential as a "traveler" her power to travel to other worlds, much greater than that of her parents, Belle and Pierre. Alice uses mirrors instead of books as portals and when earthquakes begin to rock the house, you know something terrible has happened to Alice, can you save her in time? Alice is able to communicate with you through the mirrors in her dollhouse, so everytime you find furnishings for a room in the dollhouse, Alice will write a message upon the mirror from beyond! 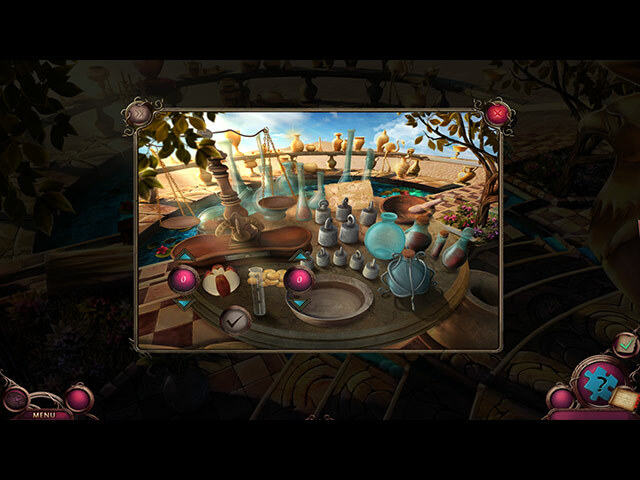 There are still features in this game that are the same such as mini HOS where you find 7 mirror fragments hidden throughout the room as well as finding 2 sets of symbols hidden in a storybook each time a paragraph is narrated which pertains to the background story. You will be able to travel to Maria's bookworld Island in Neverworld for some insight and help in your search for Alice which is a great way to tie the two games together IMO. 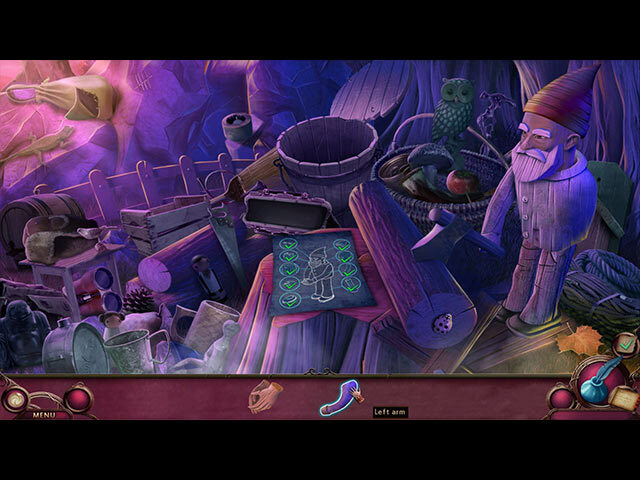 There are inventory items that will need other inventory items combined or the item itself needs repaired and you can opt to either show which items require this extra step with a + sign indicator (in custom setting) I have to give kudos to the Hidden Object Scenes, they are just as unique as the last game. Some are silhouetted shape finds requiring you to find 2 of each shape pictured such as 2 angels or 2 bugs, finding the parts to a mechanical gnome as shown on a blueprint and then assembling the gnome, and even one HOS in a well, where each item you find on the list is automatically placed on a board that is attached to a pulley system with a bucket at the bottom of the well. As the items on the board start to accumulate and become heavier, the board lowers and the bucket comes to the surface of the well which has the final listed item, shears! The mini games range from replicating symbols by connecting the dots, to a memory game that allows Pierre to climb out of a ravine. At first there are only 4 tokens to memorize, you will see the images briefly and the tokens are then flipped over and you need to match pairs of images such as 2 boots and 2 ropes, eventually there are 8 tokens to remember. The Collector's Edition has morphing objects in the HOS, collectible puzzle pieces, music, art, wallpapers, bonus HOS and mini games, a Treasure Hunt game that unlocks a Tower defense game, a strategy guild built in and a Bonus game about Pierre's past. This isn't a bad game, there are a lot of entertaining features, but in my opinion it didn't live up to my expectations of the original Nevertales, enjoy! Rated 3 out of 5 by catmartie from Lost the plot! I enjoyed the demo enough to use a coupon on the game, so I've played it through to the end. By then, I don't know whether the devs had lost the plot, but I certainly had. I have no idea where the later parts of the story left me and our characters. I'll not say more because I don't want to put in any spoilers. You play as Belle, the heroine from the previous game. For some reason every male character in the game, including your beloved husband, is a useless, effete wimp. Only Midas has any excuse for that! A good thing you're around then: courageous, resourceful and powered by infinite love for your family. The game play itself is quite entertaining, so that's a plus. Try the demo for yourself. I will say the game is rather longer than it appears.